Ted Merwin’s column appears monthly. He writes about theater for the paper and is the author of the award-winning “Pastrami on Rye,” a history of the Jewish deli. Nowadays, people constantly snap photos of themselves — known as “selfies” — and post them casually on the Internet. But in earlier periods of history, portraits were carefully constructed, enduring expressions of a sitter’s self-image and sense of importance in society. 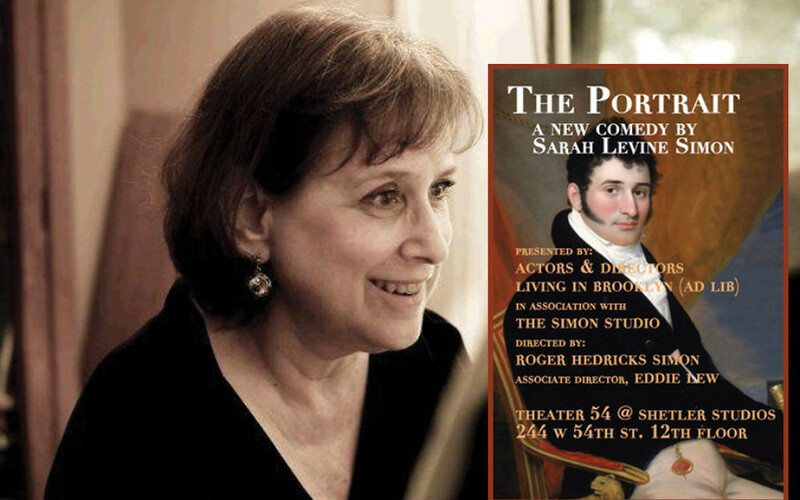 In Sarah Levine Simon’s comedy, “The Portrait,” the 18th-century rendering of a Jewish ancestor leads to squabbling among his descendants over the ownership of the valuable painting. The play runs through this weekend at Theatre 54 in Midtown. Directed by the playwright’s husband, Roger Hendricks Simon, “The Portrait” begins with two upper-class, assimilated Jewish brothers, imperious Toddy (James Williams) and more sensitive Henry (Hendricks Simon) inviting their lower-class cousin, Marty Finklestein (James Leaf) to a fancy dinner party with the object of inducing Marty to sell them the Thomas Sully portrait of their Sephardic ancestor — one of a set of three portraits, the others of which are owned by the brothers. As the evening progresses, the siblings become pitted against each other as each tries to manipulate the situation to his advantage. The playwright, an opera singer from Pittsburgh who now resides in Poughkeepsie, originally penned the work in the 1980s, when the art market was at its height. She has written a number of other plays and screenplays, including “And in Divorce,” about a chasidic Jewish woman whose husband refuses to grant her a get (religious divorce), and “Pearlman Provider, Purveyor of Light,” about a Holocaust survivor who marries an American woman. In an interview, Levine Simon told The Jewish Week that the “The Portrait” sprang from an actual artwork owned by her husband; it was a John Wesley Jarvis portrait of Solomon Isaacs, a wealthy colonial Jewish merchant, from whom Roger is descended. 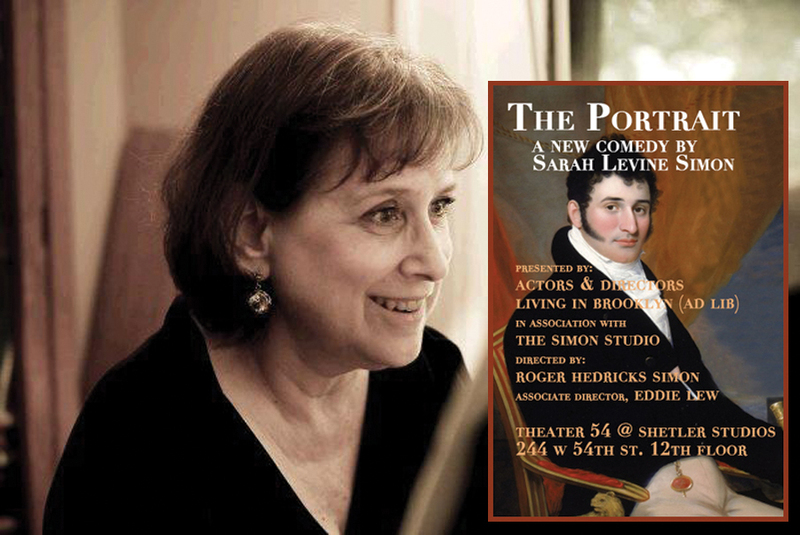 “The Portrait” runs through this Sunday at Theatre 54, 244 W. 54th St. Performances are Wednesday through Saturday at 8 p.m., Saturday at 5p.m. and Sunday at 3 p.m. For tickets, $18, call SmartTix at (212) 868-4444 or visit www.smarttix.com.